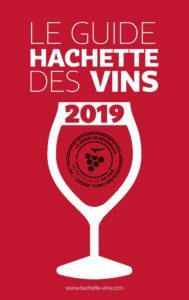 Accueil » News » September 2018 : Our Wines Rewarded ! Every year, the Hachette Guide bonus the vintages of wineries from all over France. This year, we were graciously rewarded for our 2017 vintages, two whites received an award, as well as our rosé ! The notes of the latter are counted in the number of stars awarded and the crush (* very successful wine, ** remarkable wine, *** exceptional wine). Our Prestige Prestige Notre Dame Lumières vintage was selected as a very successful wine. The Rose has also received a star AND has been designated favorite Hachette Guide ! The Emile Bodin vintage, which best expresses the typicality of Cassidan soils, has been rewarded by TWO stars !! !